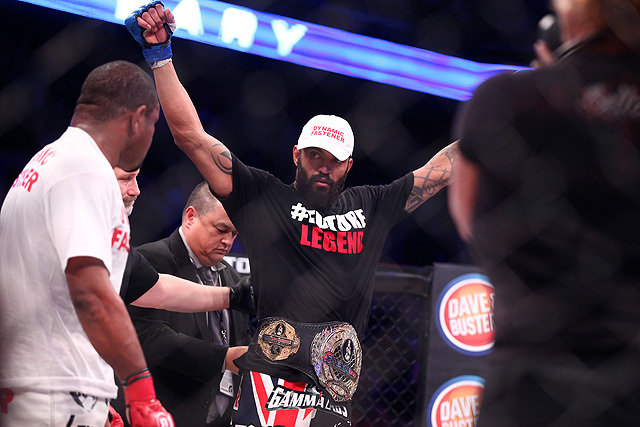 It was a hard-fought five rounds for then-champion Emanuel Newton at Bellator 134. 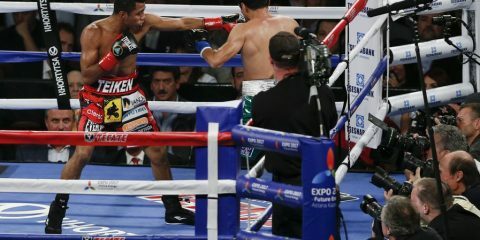 He had struggled through a poor start and was constantly in bad spots through the first three rounds. Newton failed to capture the judges’ decision and dropped his belt to Liam McGeary. 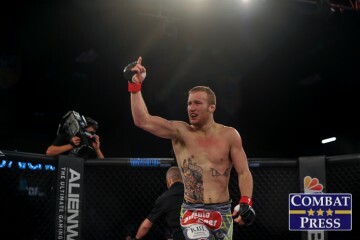 Just like that, Bellator’s light heavyweight division had a new king. It was another loss for a champion in Bellator. The promotion’s divisions have seen a lot of turnover in the last year with fighters like Michael Chandler and Alexander Shlemenko losing their belts as well. Newton was another guy who looked to be one of the best in his division outside of the UFC. Heck, people thought Newton could be highly competitive in the UFC’s light heavyweight division. But Newton lost. It actually turned out to be the best thing for Bellator, too. It was revealed after Newton’s title fight loss that he would be joining a growing list of fighters who have failed a drug test. Only, in Newton’s case, it wasn’t for steroids. Instead, it was for marijuana. Now, Newton has been hit with a 90-day suspension and a fine. Failed drug tests have plagued the UFC this year. Bellator, meanwhile, had avoided a crisis of having one of its champions failing as well. Whether or not you agree or disagree with the prohibition of marijuana and the punishments assigned to a positive test for it, the fact is that it is still an illegal substance in most states. However, the problem for Bellator doesn’t lie in the legality of marijuana or the stupidity of testing for it, but for something else: a gridlock at light heavyweight. 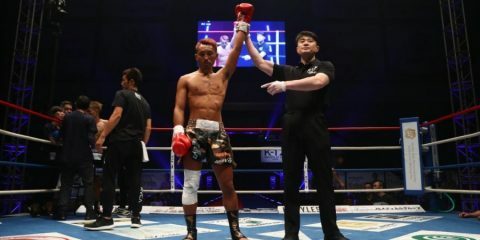 It is a blessing in disguise for a promotion that had problems with a logjam in the past for its 205-pound division. Bellator had problems with Attila Vegh returning from injury and tried extremely hard to install Muhammed “King Mo” Lawal as the champion. But Newton was able to dispatch Lawal in both fights and retain his belt. A similar situation would most likely have come up again in one of Bellator’s more name-heavy divisions. 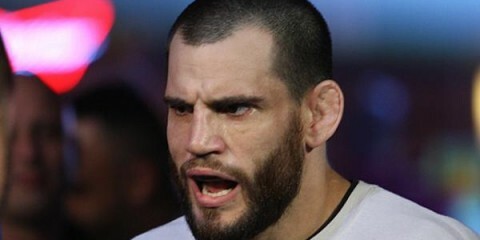 The promotion has Tito Ortiz and Lawal in the ranks as possibilities to take on McGeary next. Now, instead of having to wait three months for Newton to come back, the company can move along with the division. Meanwhile, the loss and the failed drug test will only make Newton a better fighter. With the short layoff, Newton can map out a path to further his career. He still has a ton of potential, and his time at the top of Bellator’s light heavyweight division — and as one of the better light heavyweights in the world — is far from over. 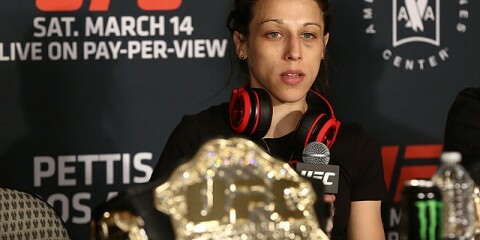 Drug testing has become a problem in the sport, but the news is usually reserved to the UFC. Now, though, Bellator is getting a taste of the controversy with Newton’s positive test and the news of another high-profile fighter and former champion, Alexander Shlemenko, failing a drug test. This is new territory for Bellator. However, the fact remains that Newton lost to McGeary. 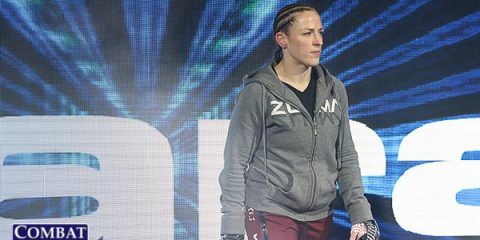 The new champion, one of Bellator’s first true homegrown names, is a hot commodity and an entertaining fighter who could help propel the division forward. 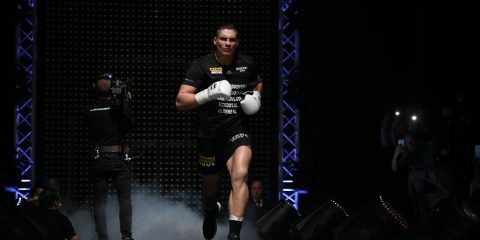 He could find himself in a fight with Ortiz or Lawal, something the British fighter deserves. Meanwhile, Bellator dodged a bullet. It doesn’t have to answer for a current champion’s failed drug test.